You can't drink beer any fresher than from the tank at our brewery! We're really proud of our fresh, crisp homemade beer brewed on premises by Joe Schineller, Jonathan Blake and Aaron Emery. We rotate our handcrafted beers throughout the year to satisfy every beer drinker… from the lightest in flavor…our Naked River Light…to the most assertive…High Desert Imperial Stout. 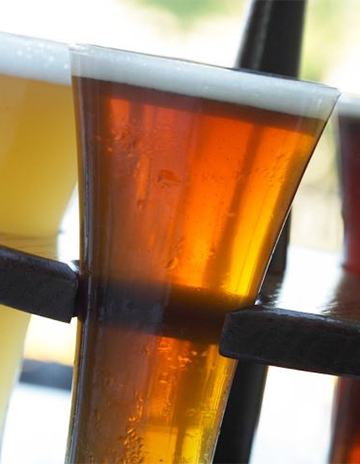 We brew a variety of seasonal & specialty beers throughout the year. Visit the Beers On Tap section to see what is available today at your favorite Sweetwater! A lightly spiced but sweet, balanced ale made with real pumpkin… amber. A holiday favorite! unfiltered American-style wheat beer / “session IPA-style”, light-bodied, amber-colored and hoppy! Thirst quenching, classic German-style “Hefe-weizen”… banana / clove flavor, unfiltered. An American Pale Ale brewed with real pineapple and lots of hops. Fruity, hoppy, refreshing. A strong and very aggressive beer with a rich and decadent malty character. A pleasant warmth from the alcohol balances nicely with subtle hints of vanilla and dried fruit. An American-style, citrusy, hop-forward IPA. Fruity and served unfiltered, the candy notes of caramel malts are balanced with the flavor & aroma of Pacific Northwest grapefruit-like hops. 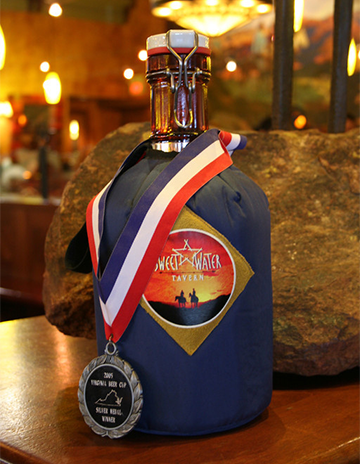 2006 WBC Silver, 2002 WBC Bronze German-style Weizenbock strong wheat beer, dark amber. Unfiltered with rich flavors of banana & clove…a holiday favorite! Classic German-style Pilsner lager bier. Crisp, refined, refreshing and very hoppy! This bold and vibrant Imperial IPA is our 1,000th brew at this location! A hoppy, citrusy West-Coast style IPA with the candy flavors of crystal malt balanced with the earthy, silky mouthfeel of rye. Red, strong and bold! Golden, classic, Belgian-style ale. Aromatic, farmhouse, spicy notes balance a mildly fruity, dry, and crisp finish. Inspired by everyone's favorite campfire treat, this stout is brewed with real chocolate and served like a s'more.